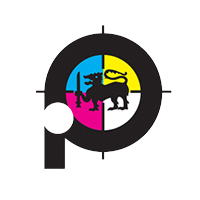 Sri Lanka Institute of Printing, the pioneer professional body committed to the advancement of knowledge, skills and expertise in the Printing & Graphic Arts industry, is totally dedicated to realizing the objectives set out at its inception. The institute was established by an Act of parliament in 1984 under the Ministry of Information and Media. It is a non-profit making organization devoted to the furtherance of scientific and technical education and meeting the ever-widening need for knowledge and skills in the Printing & Graphic Arts industry. Its special task is to assist the industry meet the demands of modernization in the context of the country’s socioeconomic progress. Vision To be the centre of excellence for serving Printing & Digital Arts industry in South East Asia Mission To extend development services to Printing and Digital Arts enterprises to become globally competitive and retain the workforce with skills developed through SLIOP educational & training programmers Objectives Become a skilled nation through developing skills of the workforce in Printing & Digital Arts Industry. Develop competitiveness of Printing & Graphic Arts Enterprises. Ensure increased foreign exchange earnings through developing multi-skilled workforce for Global Printing & Digital Arts Industry. Develop SLIOP as a dynamic world class enterprise support one stop service center for Local Printing & Digital Arts Industry. Sustain empowered competent and contended staff in SLIOP.